A mother and daughter turn their love of food, wine and the French lifestyle into a unique shop. Family-owned, The Cook’s Atelier combines culinary expertise and an appreciation for French wine. The Cook’s Atelier, a French culinary boutique, cooking school and wine shop in Beaune, France, started out as a dream shared by a mother and daughter with a passion for food and wine. “We wanted to create a convivial gathering place where we could share our love of food and wine with other home cooks from around the world,” says Marjorie Taylor, who co-founded The Cook’s Atelier, along with daughter, Kendall Smith Franchini. Combining their years of cooking, viticulture and oenology expertise, they’ve turned their knowledge of the foods and wines of France into a family business and brand (Kendall’s husband, Laurent, is the shopkeeper). The Cook’s Atelier offers market tours and cooking classes as well as a seasonal five-day culinary program three times a year (spring, summer and autumn). Tableware is organized in neat stacks, rows and jars on powdery blue shelves. Mismatched blue transferware is a beautiful, yet informal, collection. 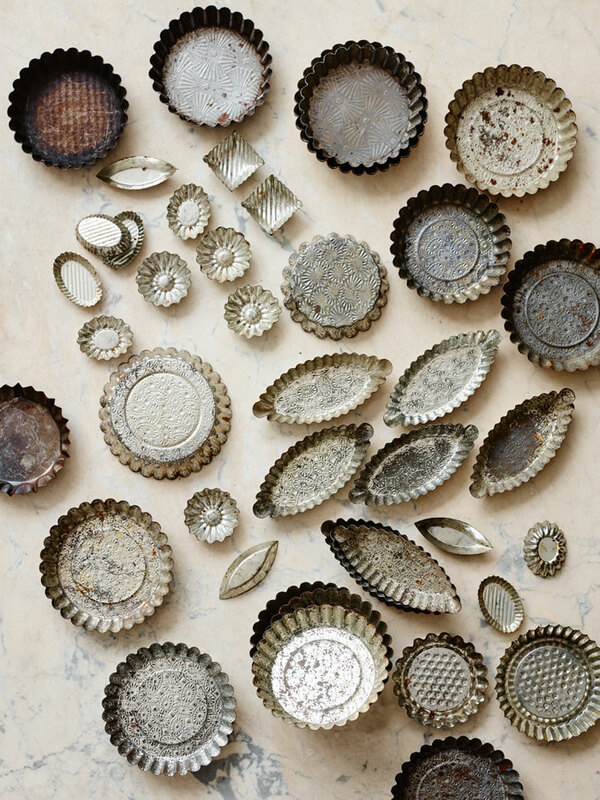 Antique molds and tart tins show the attractive patina of age and use.